Iran has called on the United Arab Emirates and Saudi Arabia to stop exploiting Islamic sanctities as a means for their own trivial goals after Riyadh claimed, in an allegation later dismissed, that a ballistic missile by the Yemeni army forces and allied fighters had targeted the holy Saudi city of Mecca and the UAE rehashed the accusations that Iran is arming the Yemeni forces. 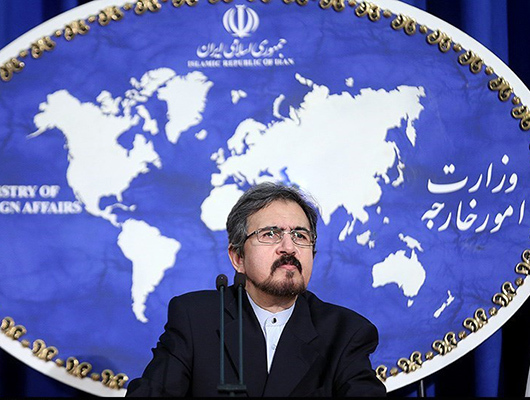 “The claim about the Yemenis’ missile attack against the holy Mecca is basically ridiculous,” Iranian Foreign Ministry Spokesman Bahram Qassemi said on Friday. Yemeni people’s love for Islamic holy sites is much more than the Wahhabis and Sultans who depend on the US and the Zionist regime of Israel to protect their thrones, he went on to say, as reported by ISNA and translated by IFP. Qassemi’s remarks came after Yemeni army forces and allied fighters from Popular Committees launched a locally designed and manufactured ballistic missile towards an area deep inside Saudi Arabia on Thursday in response to the Riyadh regime’s atrocious aerial bombardments against the crisis-hit Arab country, Press TV reported. Yemeni soldiers and their allies fired a Borkan-1 (Volcano-1) missile towards King Abdulaziz International Airport, located 19 kilometers north of the western Saudi port city of Jeddah. A military source, speaking on condition of anonymity, later told the official Saba news agency that the 12.5-meter-long missile had targeted its target accurately and left massive destruction at the airport. The Saudi military also claimed that the Yemeni missile was fired toward the holy city of Mecca, but the Houthi Ansarullah movement has rejected the claim. Meanwhile, UAE Foreign Minister Sheikh Abdullah bin Zayed on Friday pointed the finger at Iran. “The Iranian regime is supporting a terrorist group that fires its rockets on Mecca, is this an Islamic regime as it claims?” he tweeted. Iran has repeatedly rejected claims that it is funneling arms to the Yemeni Houthi Ansarullah fighters. The United Nations puts the death toll from the military aggression at over 10,000.